HIIT involves alternating bursts of all-out intensity (90-100%) for a set duration of time, with a work to rest ratio of 1:2 or 1:3. This essentially means that you train both your aerobic and anaerobic stems simultaneously and hone your metabolic flexibility (i.e. your ability to transition between burning fat (during the recovery) and burning carbs (during the intervals). HIIT is often performed incorrectly. True HIIT training has a goal. To be faster and stronger. To perform optimal HIIT you need to know what your maximal performance is; the most number of reps you can do, how fast you can run, how high you can jump, etc. Then, your intervals are completed near maximal intensity. Most however do not allow enough recovery time (ex. if you are working ay maximal intensity for 60 seconds, you will need about 2 minutes to fully recover. A 1:2 ratio of work to rest is usually sufficient). Result of a shortened recovery means a decrease in intensity to follow. To end- if you are not having your programs created for you by a professional; then before you base your programming on “guestimates”, give yourself a few max performance tests.(ex. find your maximum speed for instance by running as fast as you can on the treadmill, complete as many burps, push-ups, pull-ups and sit-ups as you can for 30-60 seconds; then program your HIIT accordingly). HIIT training if calculated correctly can drastically reduce body fat, increase lean mass and aerobic power. 8 reps of weight training alternated with 1-2 minute high intensity cardio, for 45 minutes maximum. Each “set” is 30 seconds long, and consists of 20 seconds work alternated with 10 seconds rest. Repeat sets eight times for a total of four minutes. For Tabata “rest” sets you stop moving completely, unlike the rest sets in other HIIT workouts, which are low-intensity but you continue moving. 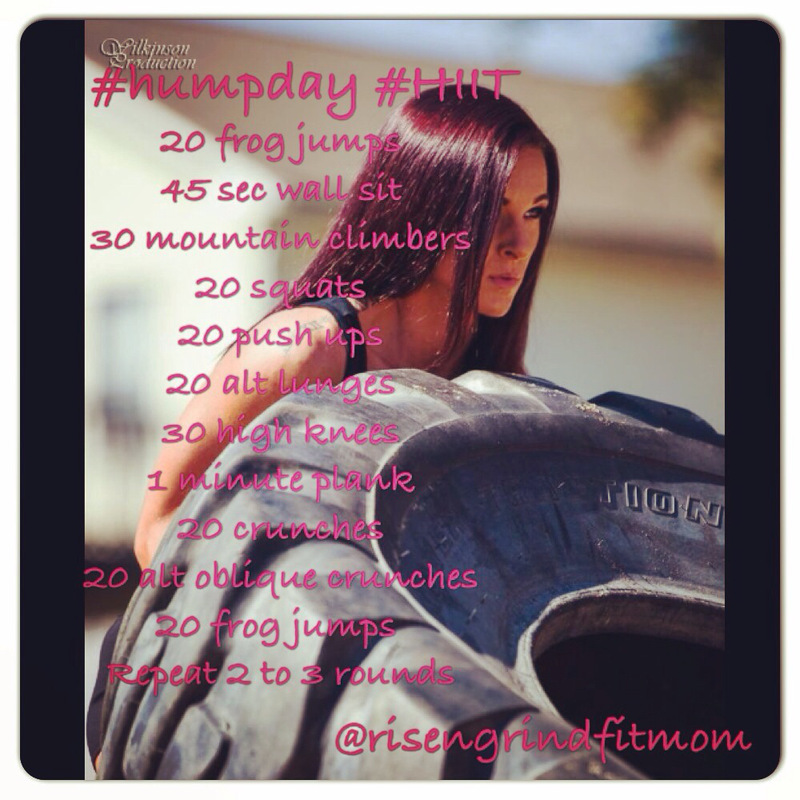 For weekly HIIT training follow my girl AJ for awesome intervals!